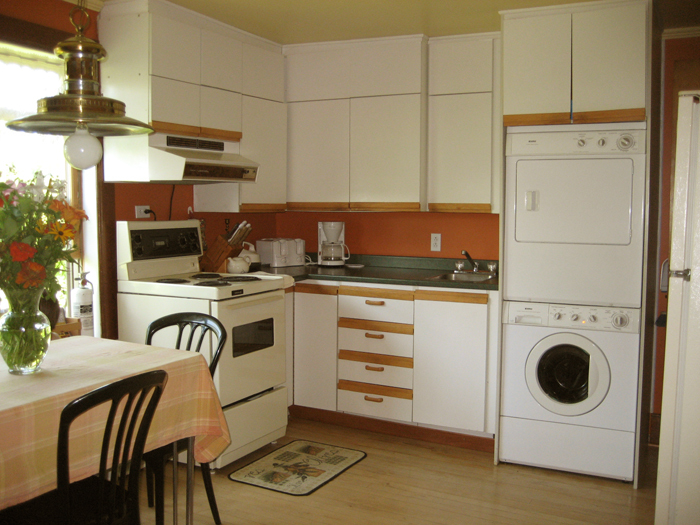 The access to a fully equipped community kitchen, permits you to cook your favourite meals on site. It is primarily because of this element that the Auberge La Table Dâ€™HÃ´te can boast of its uniqueness when compared with other establishments in the area. For those who wish to discover the local cuisine, your hosts will gladly guide you towards fine restaurants in the surrounding area. If needed there is a washer and dryer available, free of charge, for those who want to prolong their stay. An iron and ironing board are also available.